In the understated words of a health professional, this is a diagnosis, not just of the Ebola catastrophe, but of the failure of capitalism as a world system. Thousands have died and millions are at risk because the social conditions in the affected countries, long oppressed and exploited by the imperialist powers, have made adequate treatment of the outbreak impossible. Ebola is a well-understood disease, spread only through direct contact with bodily fluids, and almost self-limiting in isolated rural areas because it usually kills victims before they can transmit the virus to many other people. The cumulative death toll from all previous outbreaks of Ebola was barely 2,500 people—a number exceeded in only three months by the current outbreak. The epidemic began in rural Guinea before spreading to neighboring Sierra Leone and Liberia. 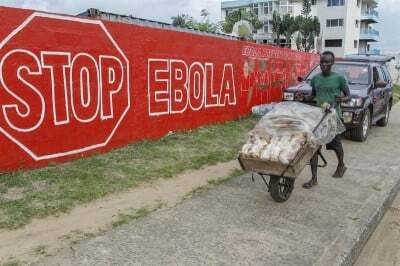 In Liberia, for the first time, Ebola became an urban and not a rural phenomenon, and the capital Monrovia is the first large city to experience such an outbreak, with terrible consequences. In all three countries, the local health care systems have collapsed under the impact of the epidemic. In Sierra Leone, for example, the country’s only large children’s hospital has been forced to close after a child was diagnosed as suffering from Ebola. In Liberia, there are only a few hundred treatment beds available, meaning that most victims stay home and are cared for by family members, who then become infected. These three countries are among the poorest in the world, ranking 161st (Sierra Leone), 176th (Guinea) and 181st (Liberia) in per capita GDP according to the 2013 World Bank listing (185 countries total). The combined health care spending of the three countries is only $900 million, a pitiful $45 per head. Their people live in misery, but the countries themselves are rich in natural resources that have been ruthlessly exploited by major corporations and the imperialist powers that enforce their interests. Liberia (founded by freed American slaves, and a de facto US colony) has vast resources of iron ore and palm oil, and Firestone (now Bridgestone) has operated the world’s largest rubber plantation there since 1926. Sierra Leone, a former British colony, is a top-ten diamond producer, with large reserves of rutile, a titanium-based ore. Guinea, a former French colony, has iron ore, diamonds, uranium, gold and an astonishing half of the world’s total reserves of bauxite, from which aluminum is derived. The Australian-Canadian firm Rio Tinto Alcan and Dadco Alumina of Germany dominate bauxite extraction in Guinea. In the past three decades, all three countries have been ravaged by civil wars, coups and ethnic massacres, with their ruling elites fighting to control sources of raw materials to sell to the giant Western corporations amid increasingly difficult economic conditions on the world market. The imperialist powers directly intervened, with British and UN troops occupying Sierra Leone and the US Marines landing in Liberia. It was the combined effect of decades of imperialist exploitation and intervention, exacerbated by the global economic crisis that erupted in 2008, which created the conditions for the present health catastrophe. When the Ebola virus made its way out of isolated jungle areas where the borders of the three countries come together, the resistance of the social organism to the epidemic was as weak as the resistance of the individual human organism to the attack of the virus. A worst-case estimate by the Centers for Disease Control and Prevention forecasts 1.4 million cases by the end of January. With a 70 percent mortality rate, the Ebola outbreak could account for nearly a million deaths by early 2015. Moreover, as a new report published in the New England Journal of Medicine warns, the transformed role of the Ebola virus means that it could “become endemic among the human population of West Africa, a prospect that has never previously been contemplated.” In other words, Ebola could become a permanent feature of West Africa, with incalculable consequences for social and economic life throughout the region. Against that backdrop, Thursday’s session of the United Nations General Assembly, devoted to the Ebola crisis, was a further demonstration that there will be no serious response from the major powers. So far there has been a tiny influx of aid from the wealthy countries, the mobilization of a few hundred dedicated volunteer doctors and nurses—many now dead or withdrawn for fear of infection—and, inevitably, the Obama administration’s decision to send thousands of troops. These soldiers have no expertise in Ebola and their only contact with the local population is likely to be shooting down victims and their panic-stricken families demanding treatment. Washington’s major concern is that the epidemic could destabilize its political stooges like Liberian President Ellen Johnson Sirleaf, and threaten the profit interests of major corporations. The combined total of all aid donations to Liberia, Sierra Leone and Guinea barely tops $1 billion, and that is pledges, not actual deliveries of supplies, equipment and healthcare personnel. Contrast that to the billions made available by the imperialist powers, and their allies among the Gulf monarchies, for the new war in Syria and Iraq, let alone the hundreds of billions squandered on wars in Libya, Iraq and Afghanistan and the trillions made available for the bailout of the banks and other financial institutions in the 2008 crash. From the standpoint of world imperialism, the value of this region lies in the mineral wealth under the ground. The lives of the human beings who inhabit the territory are entirely secondary. As the epidemic spreads, the local people will be regarded more as an obstacle than a labor force, and their extermination will begin to be regarded as a necessary cost of doing business.